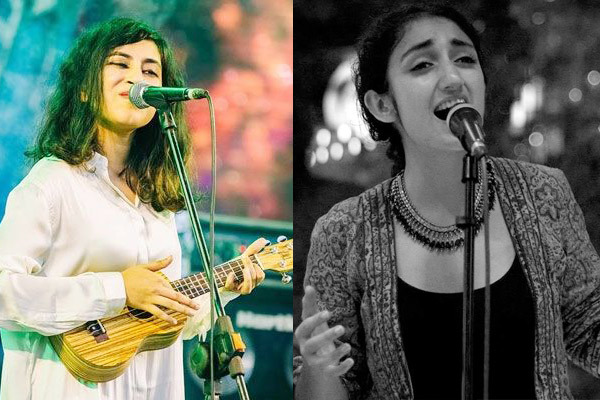 MUMBAI : Jazz singer Sanjeeta Bhattacharya and electronica producer Tarana Marwah are among the six talents from across India who are getting a chance to make their mark in the independent music scene via crowdfunding. They say people are in a "sort of imaginary rat race" in the industry, where the scene is "overcast with Bollywood". With visual media becoming one of the key elements audiences rely on to discover artistes, Rolling Stone India and crowdfunding website Wishberry have joined hands to help Indian indie musicians find their feet. Launched earlier this month, the collaborative project Watch Out gives indie musicians a running start towards building funds for a music video as well as spreading the word post-release. While the digital world may have opened a whole lot of possibilities and widened the reach for independent artistes, there's another side to the story. Delhi-based Bhattacharya told IANS via email: "There are independent artistes all over the world who are struggling to get their music out there. The fact that we are in the digital age is both a boon and a bane because there is too much information available and anyone and everyone can share what they want." "Somehow the masses are usually drawn towards anything sensational -- either it has to be super trashy or super flashy. Now to make a flashy or top notch video, you need money and networking. It is hard to get past the scene overcast with Bollywood," added Bhattacharya, who started taking music lessons when she was 5 and started writing her own music when she was 21. Apart from Bhattacharya and Marwah, the project features acoustic harmony group The Manta Sidhu Ensemble, Mumbai indie folk quintet Aankh Micholi, country artiste Ratnang Singh and Malayali R&B artist Gowry Lekshmi. Marwah, who spearheads electronica outfit Komorebi, said the challenge lies in the demand to be more than just artistes. "We also have to handle our brand and PR, social media and curation. Basically what labels should do... used to do. It's very easy to portray success on a screen but the truth is artistes should invest their time into creating their art. "When you are allowed that time to yourself, you can be honest with yourself, and share that honesty in a way that's relatable. Digital media has completely screwed up that organic process and turned things into a sort of imaginary rat race. "Our country needs to be ready to support real talent. It's getting there but it's nowhere near the end game," added Marwah, who has been playing the piano since she was all of 7, and started composing and doing gigs since she was 16. As part of Watch Out, each artiste has their song prepared and video idea ready. They are trying to crowdfund a fixed amount of Rs 350,000 for 45 days on Wishberry. Once the target is met, the money will be given to film production company Camera and Shorts, who will take over the shooting of the videos. However, as per a ‘all-or-nothing' policy, if the artiste fails to meet the target even by Re 1, the money will go back to the funders. Wishberry, Co-Founder, Anshulika Dubey, told IANS in an email: "Music videos play an integral role in popularising an artiste's music. While Youtube gave a free platform to musicians, what musicians still lacked were the funds needed to make a good music video." MUMBAI: Originated in Mumbai, The Lil Flea is India’s happiest and largest flea. MUMBAI: In a welcome announcement for music lovers, the National Centre of Performing Arts (NCPA) will launch its own jazz collective here on Friday to popularise the genre in India. MUMBAI: A long play of Ella Fitzgerald on the spool was considered to be the most relaxing thing. Billie Holiday, popularly known as Lady Day, was known for her soul-stirring music too. Aretha Franklin, Queen of Soul, is another gem of an artist revered by music lovers. MUMBAI: NCPA’s upcoming Jazz concert is a traditional affair, graced by 4 on a Swing, a band specialised in traditional jazz music. The quartet comprises of Pradyumna Singh Manot aka Paddy on piano, Sanjeeta Bhattacharya on vocals, Aditya Servaia on bass and Kunal Netrapal on drums. PUNE: As Bacardi NH7 Weekender shifted its base for the fourth time since its inception in Pune, the newest home did not need to wait until the sunset to witness impressive turnouts for respective stages.